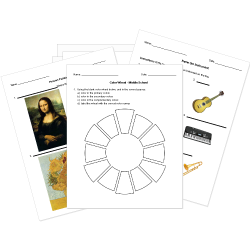 Check out our pre-made Arts worksheets! You can create printable tests and worksheets from these Applied Arts questions! Select one or more questions using the checkboxes above each question. Then click the add selected questions to a test button before moving to another page. Art is important in daily life. It has personal significance, reflects our society, records history,is used for marketing and advertising, and is a form of self-expression. Artwork created by gluing pieces of materials like paper or cloth to a flat surface is called ? 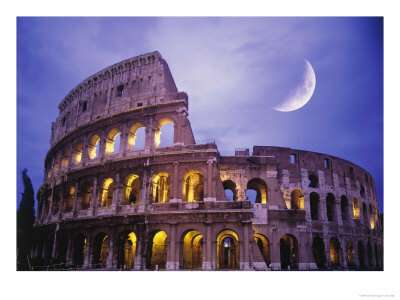 This huge stadium was built in Rome, 80 A.D. and was used for entertainment. Battles would take place here for all of Rome to see. Art has an impact on history and on different cultures and different cultures influence art. 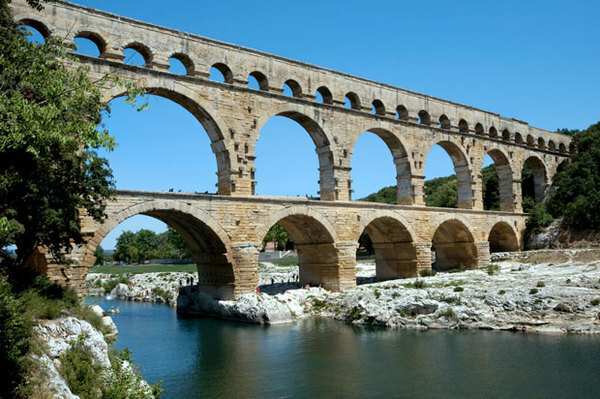 This Roman built structure was used to carry water to the huge cities that they ruled. Research and experiment with artistic decisions. Brainstorming, planning, and making connections. Which is not a Element of Art? A sculpture is 2 dimensional? Shapes and forms can be placed in two separate sub-categories. Those categories are geometric and organic. Goofing off and not paying attention. What is a system that links computers around the world, making is such an important tool in the Art? . 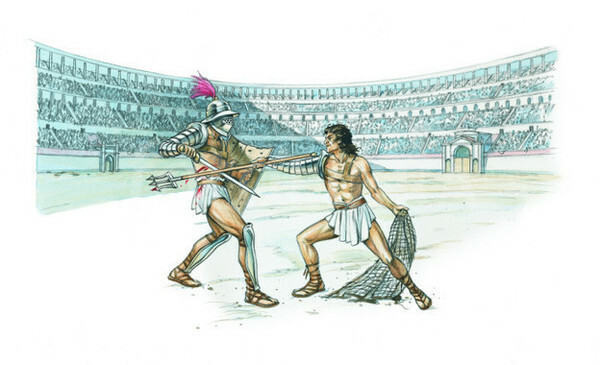 People were sometimes forced to fight for the entertainment of others in a large stadium in Rome. What were these people called? Which of the following is a true statement? you are free to copy images you find and include it in a piece of artwork. you should never consult web sources when you are gathering references to create a piece of artwork. you should not have to cite the web sources you use in your artworks. web sources must be cited in the art competition application. You are not free to plagerize images. Pinch and Coil are types of clay pots?